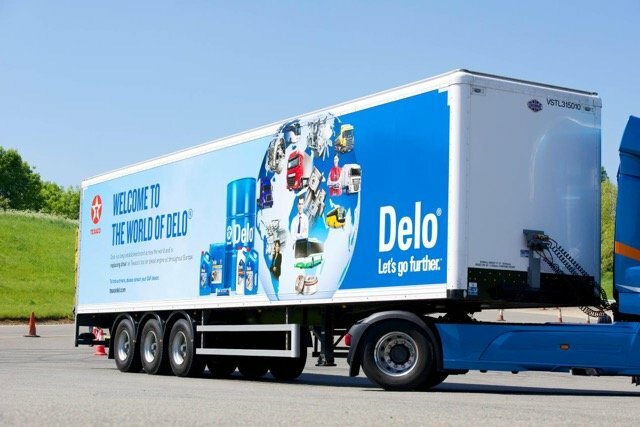 Following the high-profile, Europe-wide launch of Chevron’s new Texaco Delo brand, DAF Trucks has confirmed its continued partnership with the company as its primary aftermarket supplier of oils and lubricants. The Texaco Delo product range – which replaces the Ursa brand – is now available throughout the DAF Dealer network. Distributed through its Dealer network, the Texaco Delo product range is produced with a ‘quality guarantee’ from DAF Trucks to deliver maximum reliability. Developed for ‘severe duty’ applications, Texaco Delo engine oil delivers extended service protection to help maximise engine durability and minimise running costs. Benefits include exceptional oxidisation and deposit control qualities whilst at the same time delivering improved fuel economy. Excellent emission control provides an optimum DPF lifespan to reduce maintenance and promote minimal downtime. The full Texaco Delo family of products also carries a range of OEM approvals.